This fun, engaging and interactive offering can take place at your home, workplace or venue. It works brilliantly in the BBQ, dinner party, corporate and team building environments. We bring copious oysters, professional shuckers, delicious adornments such as lemon, Tabasco, and atomisers of specially selected spirits. We can serve raw on the half-shell, cocktails, Baked & BBQ’d all dependent on your requirements and location. It’s fun, informative and feel good! Why Feel good? 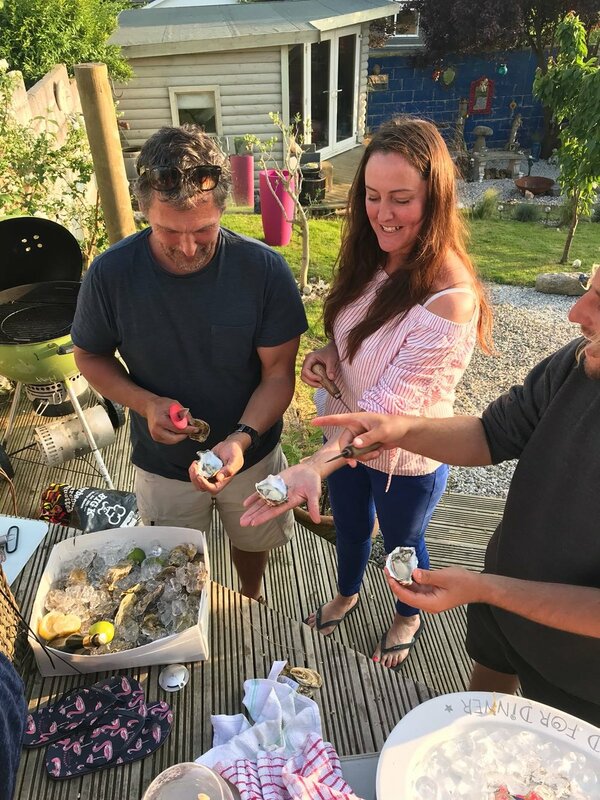 Well because Oysters contain a natural source of dopamine and because a percentage of any sale from this website goes towards oyster restoration and education projects via The Oyster Academy CIC.